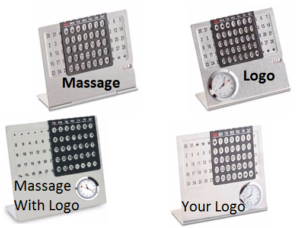 Custom logo and brand message printed new year table top calendars are best corporate gifts for corporate employees and customers. 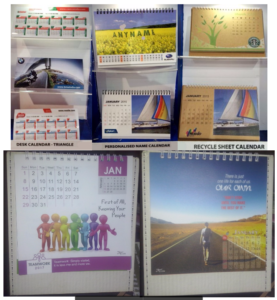 Calendars are the best New Year Corporate Gifts as the shelf life of the same is one full year and beyond in cases where the calendar can serve longer period and even lifetime. If the quantities are not much then you can pick up from an available design with the space to print or stick your details. Otherwise you can customize each page including the size, length, height, pages, design, paper, material etc. 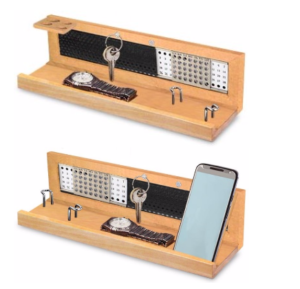 Again, you can choose to go with a wooden, metal, plastic, table top or wall hanging depending on your target audience and their preference for the calendars. We can share more images if you so prefer and plastic colour can be customised with your house colour for larger quantities. 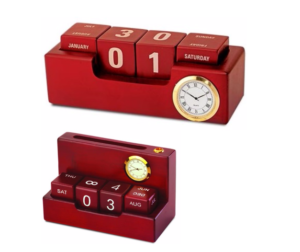 Desk calendars can be selected from any design depending on your budget and purpose. From 12 leaves, to 6 leaves, to 3 leaves or 2 leaves as triangle desk calendars with New Year Dairy. You can have complete 12 months’ calendar on one side facing you and the image facing the visitors to show them the product and the images in the triangle desk calendar series. Again, the recipient’s name can be printed on each sheet with an excellent background design to impress both the recipient and the visitor called the personalized name calendars. With the popularisation of eco-friendly and recycle sheet calendars you can decide to distribute the same to show your commitment towards the mother nature. 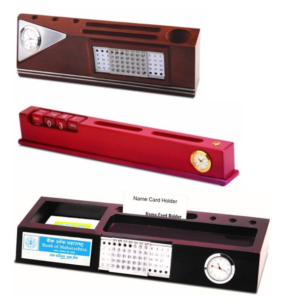 There is provision of small space for you to print your logo to constantly remind the user about you. However, if you need a larger space with your address and product details then you can go for calendars with enough space at the bottom to either screen print in 1 or 2 colours or stick your 4 colour photographic message. As explained earlier quantities of 500 or 1000 can be totally customised as per your requirements with your product images or as per the specific requirements. 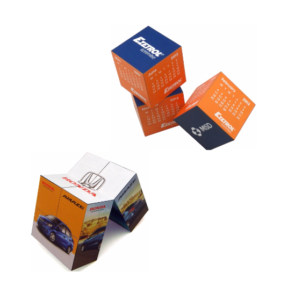 The 3, 4 or more magnetic cubes can be totally customised depending on your message and purpose to give your target audience and their visitor’s something to play around when discussing a point. The cubes create various combinations of the images and helps in arousing curiosity of the person to touch and start playing with the same to understand the various messages intended for him or her. The purpose of passing the message in an engaging and meaningful manner is conveyed to not only the person who receives the cubes but to all who meet the recipient. 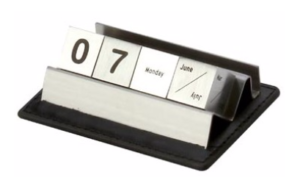 An ideal table top calendar for the influencers as it makes their life easy to convey the message to the intended. 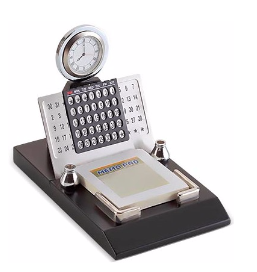 ← Best Corporate Gifts for The New Year!